A two day G20 summit, not very long considering how many critical issues are at hand, will convene tomorrow in PIttsburgh. I had no idea but Pittsburgh is being hailed as one of the greenest urban centers in the U.S. Could this be? transformed from the city of steel, to the city of green. Sounds positive to me and I am eager to see first hand when the SmartLifeways road trip finally gets underway. Leaders from the 20 largest global economies will be meeting in Pittsburgh and what is really exciting is that both of the main venues for the event are “green”, committed to sustainable practices and mainly use local, organic food, and not just for this event but on a regular basis. Now that is making a statement about a new paradigm. I wonder how Monsanto feels about this global publicity for a new and better way? Looks like better living through chemistry is not universally accepted as such a great idea anymore…. 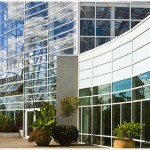 The G20’s opening reception and dinner will be held at the Phipps Conservatory and Botanical Gardens. The regular practice for all events at Phipps is to use local, organic, sustainably and humanely raised food and beverages and this is the case for the summit as well. No big name chefs will be working this dinner, just the regular local staff. All food waste is composted and recycling practices are standard operating procedure here. The Conservatory’s Visitor Center was the first LEED certified visitor center in a public garden. You can read more about their “green” commitment and Sustainable Landscapes Program here. All meetings will be held at the David E. Lawrence Convention Center. “The Center is the first and largest certified “green” convention center in the world awarded the Gold LEED® (Leadership in Energy and Environmental Design) by the U.S. Green Building Council.” This is an inspirational example of what is possible when there is a commitment to supporting a clean environment. Sustainable building is not just for small scale construction, this is a 1.5 million square foot structure, and over 75% of the building is naturally lit. The center also has a rooftop garden that will provide lettuce, eggplant, green peppers and tomatoes for meals…and that is about as local as it gets. The convention center’s executive chef is also working with local farms for the remaining produce requirements. This commitment to local suppliers also shows a wider audience that local farms can support large scale demand with healthier, cleaner, fresher and sustainably produced food. The farmers are out there wanting to grow their products this way, it is up to us to demand it and to let the government know that we want our food sources protected. While we will have to wait and see what concrete results come from the Summit there is no ignoring that in addition to the global economy, the issues of climate control and our global food supply will be on the agenda. Let’s hope that the environment where the events are held, and the food that is eaten will be reminders that this is the change that we want to see.